Crowd Pulse reacts to sound waves. Massive sound waves. You’re at a concert. You hear a great song and you want to show it. 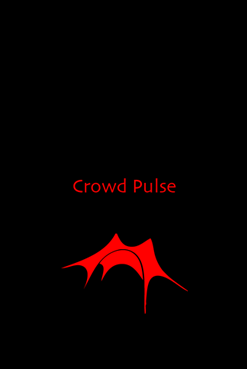 You grab your iPhone and activate Crowd Pulse and turn the screen towards the stage. Your iPhone will now flash in sync with the beat of the music. Like the thousands of others standing around you. Together the festival crowd in front of the stage will become one giant glowing Crowd Pulse. First there was the rock ballads where we stood in front of the Orange stage with our lighters held high until our fingertips almost melted. Then came the bright colored glowsticks swinging to the technos pulsating beat. Suddenly it was the mobile instead of the lighter we all had in our hands to show how great a song was. Now the Crowd Pulse is here and an extra dimension is added to your concert experiences at Roskilde Festival - a collective glowing pulse.